The 8-hour diet is also known as the 16:8-hour diet—16 hours of fasting and 8 hours of eating. It is based on the idea that the body was designed to run best with periods of eating followed by periods of fasting. The science is there for this diet. There’s a lot of research that show this is a more natural way for humans to eat. Think of the hunt and the daily kill. Early man probably didn’t eat until he made his kill for the day or collected the food to be eaten. There weren’t a lot of food storage opportunities, so everyone probably did some sort of exercise before eating and then ate a big meal later in the day and ate their fill. 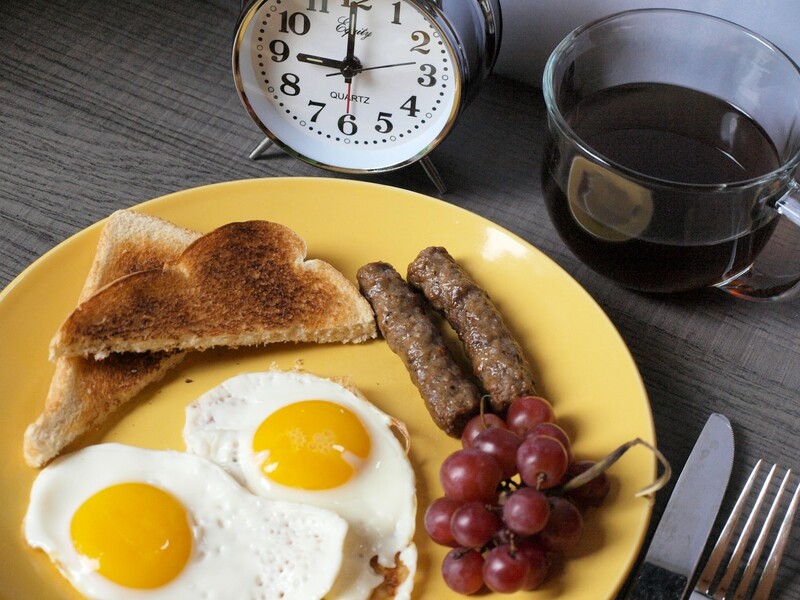 Start your eight hours with a complete breakfast that leaves you satisfied until your next meal. Eat all of your daily calories during an 8-hour period. Choose a time-frame that works for you. For example, you can eat breakfast at 9 a.m. and then be finished eating for the day by 5 p.m. You could eat your first meal at noon and be finished eating by 8 p.m. Whatever hours you feel would work best with your schedule. Your 8-hour window does not need to be the same every day. You can eat whatever you want on this diet. No foods are forbidden. Just eat your normal meals and make sure you eat an appropriate portion. Don't overdo it and don't binge. Avoid sugary beverages. They're just empty calories. Try to get some exercise in before the eating window begins. Exercise will supercharge fat loss. Drink lots of water, whenever you like. You can (and should!) drink water during the 16 fasting hours, but you can't drink anything else during the fast period. 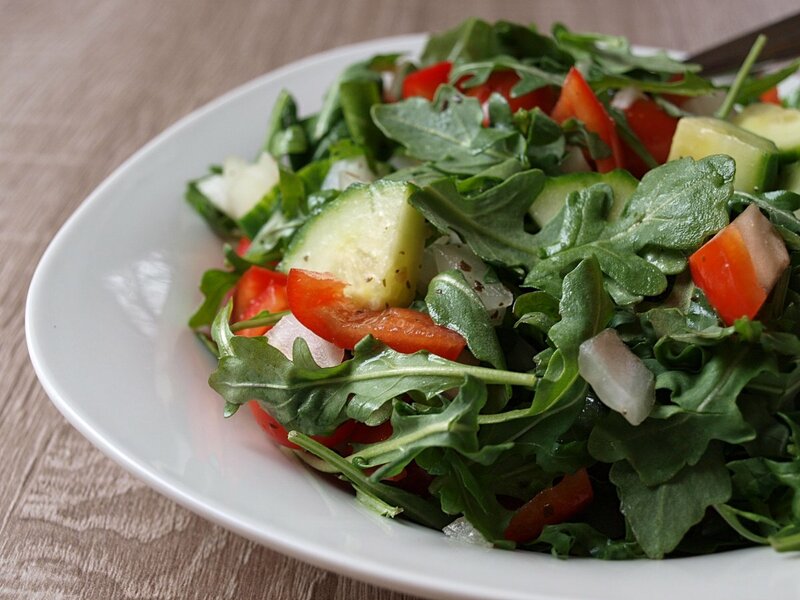 Lunch should be satisfying and include lean proteins and plenty of vegetables. 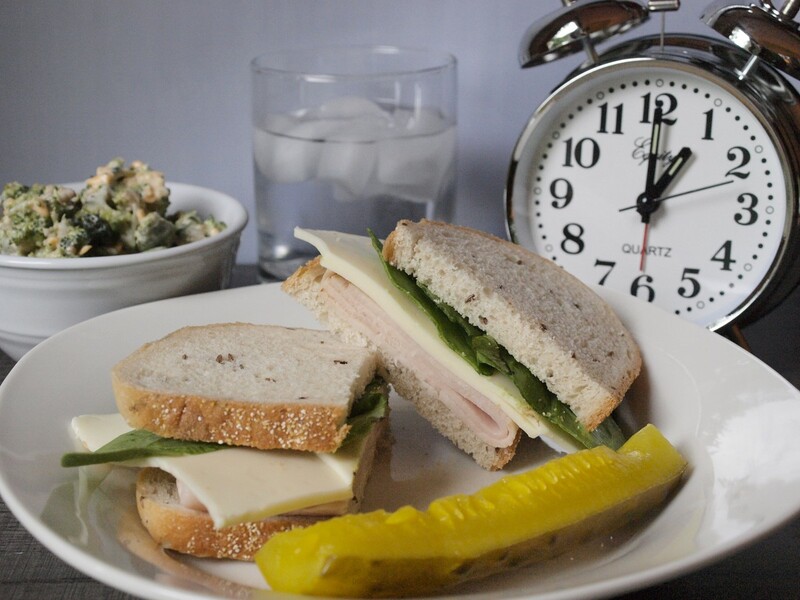 Make sure you're eating at a time approximately between your first meal and the end of the 8-hour window. In early 2017 the University of Southern California released a study showing that intermittent fasting—or eating only during prescribed windows of time–can reduce the risk of getting some major diseases, including heart disease, cancer, and diabetes. There is debate, however, about whether this approach leads to sustainable weight loss. Also, nutritionists question whether diets like this one just teach people how to deal with fasts, and not how to develop healthy eating habits. Some nutritionists worry that intermittent fasting will encourage eating disorders and raises cortisol levels. Developed by David Zinczenko and Peter Moore, this diet was published as a book in 2013. The 8 Hour Diet offers other tools, like a list of "power foods" to eat that are supposed to boost your metabolism and other tips that are supposed to make the diet even more effective, but I just did the basic diet. Exercise on This Diet? Yes! If you exercise before you eat for the day, it makes sense that it would super-charge your fat loss. If you haven’t eaten for 16 hours, then you aren’t going to have any calories from food remaining in your system, so your body will have no choice but to burn its fat stores while you exercise. Eight minutes is really the minimum amount of time you should exercise. I believe that if you can handle more than you should do more, but listen to your body. If you’re feeling dizzy or run down, keep the workout short and simple. Dinner should be a full meal, with protein and vegetables. Make sure you're finished eating at the end of the 8-hour window. At this point in my life, I’m eating when I wake up, right before I go to sleep, and way too much in between! Back when I was skinny (about 75 lbs lighter than I am today!) I found that when I ate breakfast, I ate more all day long and gained weight, but when I skipped breakfast, I ate less and lost, or maintained, my weight. I did a diet similar to the 8-hour plan before by simply not eating until lunch every day. It’s been a long time since I’ve followed that pattern, or even paid that close attention to my weight, hunger, or eating habits. But I do believe that going back to that method will be beneficial for me. I’m excited to see the results at the end of the week. 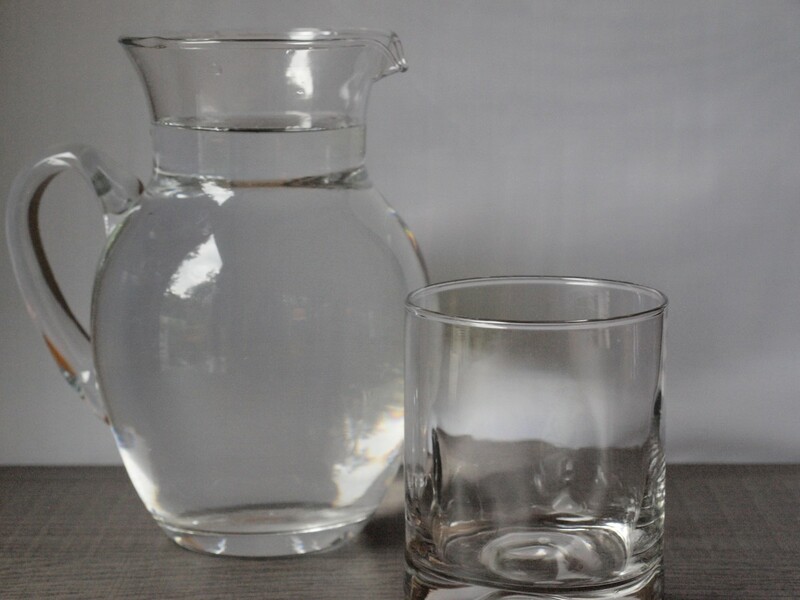 Drink plenty of water during the 16 fasting hours. Day 1: 200.5 (BMI 31.5) 5'7"
I found this diet to be supremely easy to follow. There was really only one day where I even felt hungry during my 16 fasting hours. That being said, it's hard to expect much in results. I still ate pizza and had a cheeseburger, but I did almost no snacking because during my usual snacking hours my "window" was closed, and when my window was open, I didn't snack much either because I had either just had lunch or dinner. During the diet I felt better, less bloated and heavy, and I had more energy. Because I didn't feel so full and sluggish all the time, I was in a better mood and did more things around the house. I also got more sleep. This was a strange side effect. You see, I used to wait for my kids and husband to go to bed and have a snack and a soda. But since I couldn't do that, I was sleeping before midnight most nights. This is great diet. It offers many health benefits for someone like me who doesn't eat very well in general. For someone who is already healthy and not snacking very much, I imagine that the weight loss won't come off as fast as it has for me, but it still would have the other benefits. Not having that heavy morning meal is great. The body adjusts easily and quickly and the morning hunger can be quickly quenched with a glass of water and a task that takes your mind off of the hunger. I think the nearly 7 pounds I lost speak for themselves! 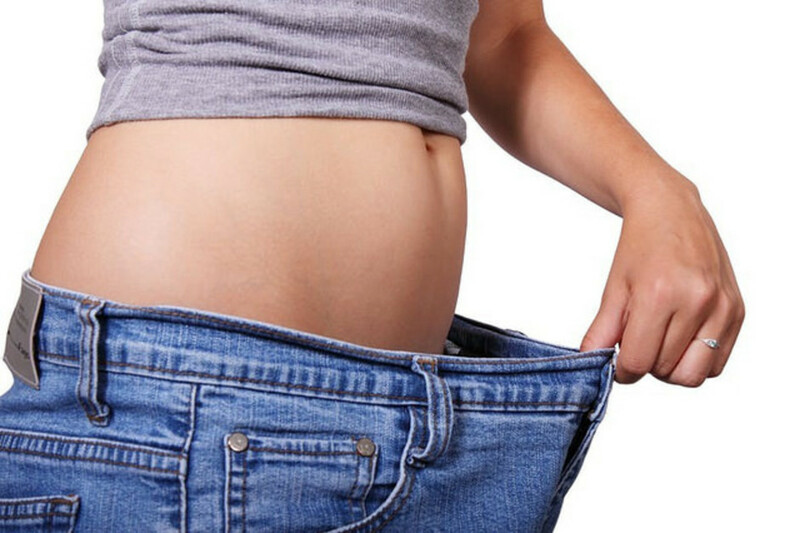 You certainly can lose weight effortlessly by simply adjusting your eating schedule. Are you going to try the 8-hour diet? Yes I'm going to try it soon. January 2 - I've been on the diet for two days and I must say that it's about the easiest "diet" I've ever been on. I didn't break my fast until 2:00 p.m. Then I had some nachos at 2:00. For dinner I had two tacos at 6:00 p.m. and at 9:00 p.m. I had about half a bag of cheesy popcorn. I had no hunger or anything. On January 1 it was easy too. I had some frozen pizza for a late lunch and some turkey and stuffing for dinner. I had half a piece of pie in between. Honestly, I don't feel like I'm eating any different than I usually do, but I am. I'm eating quite a bit less because I am only eating for eight hours a day. Even though I'm eating the same stuff in the same amount as I would for lunch and dinner, I'm still probably eating half as much as before! The best part is I don't feel hungry or deprived or even like I'm on a diet at all. You can't beat a diet that doesn't feel like I diet. Even though I don't feel like I'm dieting, I do believe I will lose a decent amount of weight this week. I'll let you know the results on the morning of the 8th! January 4 - I'm enjoying all the comments on the bottom of the page. Like another reader I am finding that I feel less bloated and lighter in general. I wasn't going to weigh myself until the week was over, but I couldn't help but weigh myself this morning. I'm down 5 lbs! That was very easy! I was very hungry this morning. That's the first time I've been hungry. I didn't eat very much yesterday. My 8-hour window closed and we had company, so I didn't really get to eat my evening meal. I had a little bit to eat before the company came. Now it's 3:30 in the afternoon and I still haven't eaten because my "window" didn't open up until 2 and I've been at work. At this point I'm no longer feeling hungry, so I must not have been as hungry as I felt this morning. I probably won't get a chance to eat now until around 7 p.m., so that will be over 24 hours fasting. There was a lady who commented who seemed to think this diet is disgusting and asked, what good is it if you are still eating cheese-laden pizza?. Well, for one thing, I was eating cheese-laden pizza anyway. Now I'm eating less cheese-laden pizza. There has to be some health benefits to that, right? I actually believe this diet has a lot more to offer than a gimmick; it "rests" your digestive system, you eat less, and you are more aware of the fact that you weren't actually eating from real "hunger" before you started this diet. That's been the revelation for me. I wasn't actually hungry when I was eating first thing in the morning every day. Why stuff calories in a body that isn't asking for them? It's nice to learn that you can go quite a long stretch "fasting" without feeling any serious hunger pangs. I really feel a bit more in control of my hunger now. For all those trying this diet, good luck to us all! Hope you find weight loss painless and simple this time around! How much weight did you lose on the 8-hour diet? For those of you on the 8-hour diet, I want to just comment on one thing. Having milk or creamer in your morning coffee will greatly inhibiting this diet's ability to do it's magic. The big thing is that after your body burns up all your calories it goes into ketosis and starts burning fat. 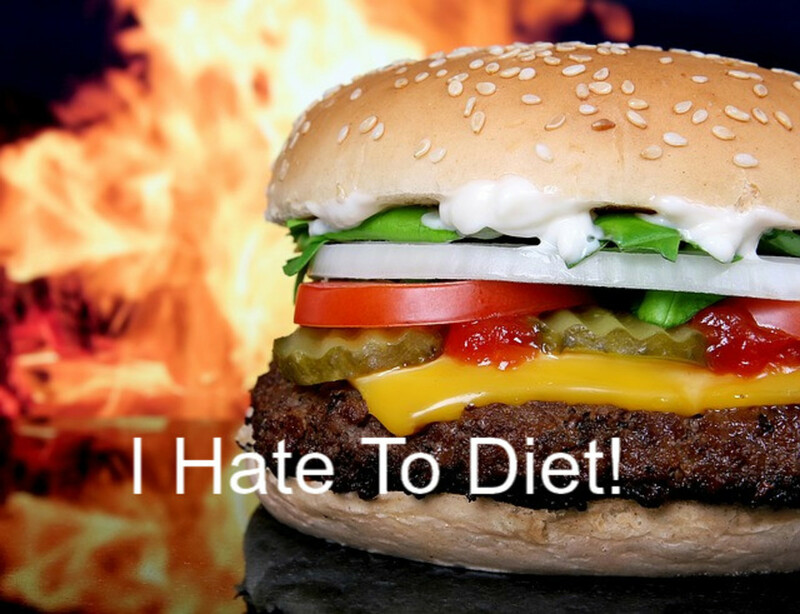 As soon as you consume calories again it quits burning fat. That's why this diet works. Even the small amount of calories in your coffee can sabotage this diet. You will likely still lose weight, but not as quickly as if you hadn't had those calories. If you are okay with your weight loss, then I wouldn't worry about it, but if you want lose more or faster, cut out the morning creamer or milk, or cut the coffee all together. As a caffeine addict, I feel your pain though! You mentioned that there is talk that the 8-hour diet can raise cortisol levels. I have a sight condition aggravated by cortisol. Do you have any further information on this topic? Can you chew sugarless gum while fasting? Have been doing this for 4 days and am down 4lbs! Pretty happy with that. I was around 153lbs and I think 5’4ish. So I need to loose 10-15lbs. i have been on this diet for 3 weeks and i have not lost any weight. i do have a cup of tea with skimmed milk in my fasting window. I started this diet combining with ww .otherwise i eat junk and empty colories. Honestly my appitite is way less and i dont crave anything. Can I have black coffee before 10AM? I discovered that human body is a very complictad organ and that's why no one can give the ultimate recipe for great body condition. I love food very much and never tried any diet. I can not restrict me to only vegetable or only low carb. I love white bread that I make and cannot live without that. That said, it's my second day with 16:08 intermittent fasting. Today at 12 o'clock I broke my fasting with a small piece of Lasagne and one tomato. It's less than what I normally ate as lunch but my body doesn't force me to eat more or carving for something special. That's why I think this pattern is closest to what we humans are designed for.. I have been on this diet for several weeks and just weighed myself this morning for the first time. I am up 3lbs! I guess I have been eating more than normal during the 8 hours? Although it doesn't feel like it. So, I'm not sure what's going on. its been 2 week and I lost 6 pounds, I bought the 8 hour diet book too. I got the 8-Hour Diet book, years ago, then Dec, 2014 started Trim Healthy Mama. I successfully lost 30# and 17", quickly, then 3 yrs ago, I hit a stall. A friend mentioned "IF," so I got the book back out and although I love THM and am committed for life, I am doing, both. I appreciate the tips that the author wrote. The book says you can have a little cream and/or sugar in the AM coffee, but I was wondering...I see that it's not a good idea, so I'll just wait and have the coffee when my 8-hour window, starts. THM wants 3 hrs between meals, so I can work with meals at 12-3-6, and a snack at the end of the 8 hours. Now that I have some things more straight, in my mind, I'll be checking back!! Thanks! I would love to try this diet. Only thing is that I work a night shift, 6pm to 6:30am and I go home and sleep about from 7am to 2pm than I go to work. So does the time of day really matter? Or can I adjust the time and keep it in the 8hr range ? Help?! I just started the diet yesterday. This morning I drank some orange juice as my hands were shaky. Is this ok? I would like to know on the 8 hour diet instead of being on the diet 3 days a week could I do this diet 7 days will I get the same results? I started the 8 hour window diet i am 55 yrs old I start my 8 hours at 12 - 8pm I feel with lots of energy I love the diet starting to exercise on Monday July 2 for a fast results weigh loss I feel better less bloated feel lighter not going to weigh until 1 month wish everyone good luck its a great diet. "You can (and should!) drink water during the 16 fasting hours, but you can't drink anything else during the fast period." first sentence you can drink water during the 16 fasting hours. but cannot drink anything else during the fast period???? I've been fasting for the past two weeks. It's been pretty rough. I fast the best if I'm working. I fast from 8am till 3 pm when I get home from work. Inbetween I drink water much as I can. I have not stepped on a scale recently. I should try. Thanks for the review! Annoying though if David Zinczenko is taking credit for developing this diet, credit should really go to Martin Berkhan (leangains). I have started the 8 hr diet . I am up early , and naturally hungrier at Breakfast and lunch and in bed at a reasonable time , so my eating window is 6/7 am- 2/3 pm. Im not struggling so far only a few days in. If i am out at nuight i will change my window to later . Any tips ?? This diet works! I'm a 62 year old Caucasian male. Twenty years ago, I dropped from 210 to 140 on a thin 5'7" frame. My ideal weight is 127lbs-132lbs. Even down to 140, I had love-handles and thick thighs. If I dieted by calorie restriction and exercise alone, I felt weak at the gym and my wife said I looked gaunt. My wedding ring would slide on/off easily! But the thunder-thighs and love handles remained... Two months ago, I changed to this diet. I've lost 5lbs, my pants are loose even in the legs. I'm lifting more at the gym than before, so I'm not getting weak. My love handles are 1/2 the size before. My wedding ring doesn't slide on/off! This diet WORKS! Can i vary the timings of the fast? or does it have to be same timings everyday? I am fasting from 8pm till noon. This is so easy for me. Breakfast has always been a struggle for me, I would eat the worst morning foods. So taking breakfast and the empty calories out of the equation was a no brainer. In 30 days I was down 5 pounds and my gut felt so much better. I had better overall digestive health (get my drift) and found myself drinking more water (sometimes because I was hungry). I am hungry in the morning, but it usually passes quickly. The best part of this is that I still for the most part eat the same and this 'diet' is not a disruption to our family eating plans. I don't have to stare at the rest of the table with a mere salad and a glass of water or have a 'smoothie' when everyone else is having a turkey sandwich. This works for me! im on 8pm to 12.30-1 noon fast! Started at 75kg and now at 69.5!! within a mth!! i still have my green tea w/o anything in the mor!! and i feel so light n 2inches down my tummy!! Started the 11 to 7 diet 3 mo. Ago. Started with. 339 lb. in 3 months I weight 209. Will stop at 198. I'm 70 years old and came out of booth camp 195 lb. so 198 will be great. Never dieted before. I drink water with lemon and don't get hungry. Except when I broke the diet once in 3 mo. do it it works. j. B. Did you calorie count at all.? Can you drink sugar free soda in the 16 hrs? Can you drink coffee with sweetened creamer or sugar in your tea during the 8 hr eating time? Thanks! 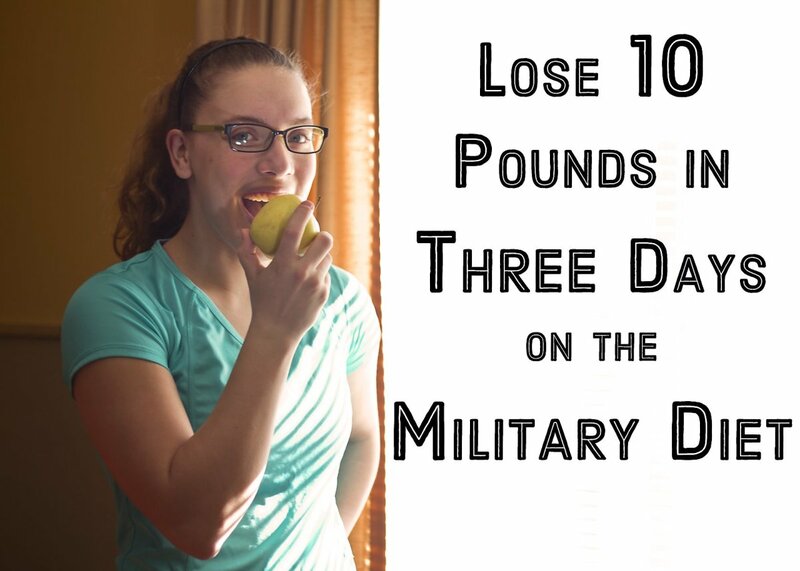 I have tried this and already down 3 lbs. I feel more energized!! Is it okay to have black tea in the morning before stopping the fast? What about having no calorie sweetener in it? I've started the 16:8 this week and so far so good. I have a question. Can I drink green tea during my 16 fast period? I am definitely going to try this. I think it is something I could do easily and stick with. I know many people who have had success with this way of eating so that is encouraging as well. For many, many, many years I maintained this type of "diet" only because...well, I don't really know why. I just did. I was always reasonably thin and had lots of energy. Then I retired, started eating all the time and put on almost 20 pounds. Went back to work...awake 5 am, home from work, are first solid food of day, lost 15 pounds and felt FANTASTIC! Quit working 6 weeks ago and have already gained 7 pounds and feel like a slug bug. I'm definitely on the TRD starting today. relatively slim and fit but need to lose a few more pounds. I have been doing the 8 hour diet for 8 days and have lost 2lb I eat a really healthy diet low fat, low sugar low carbs and protein with lunch and dinner are there a certain number of calories that suit this diet/eating plan or is all down to the individual person. I started skipping breakfast about 10 months ago. I weighed 185, height 5'10". Today, November 23, 2017, I weigh 169. A loss of 16 pounds. I usually stop eating by 8 PM. So I usually get 16 hours of fasting. I'm 76 years old. Seemingly the app needs updating before it will work. P.S. Got the app - that you for that!!! I was on the 8 hour diet for 18 months and at the end went back to my old weight because I was so hungry I kept eating right before bed. This diet made me too hungry. I am now trying the weight watchers diet and am not hungry. I think weight watchers is much better. 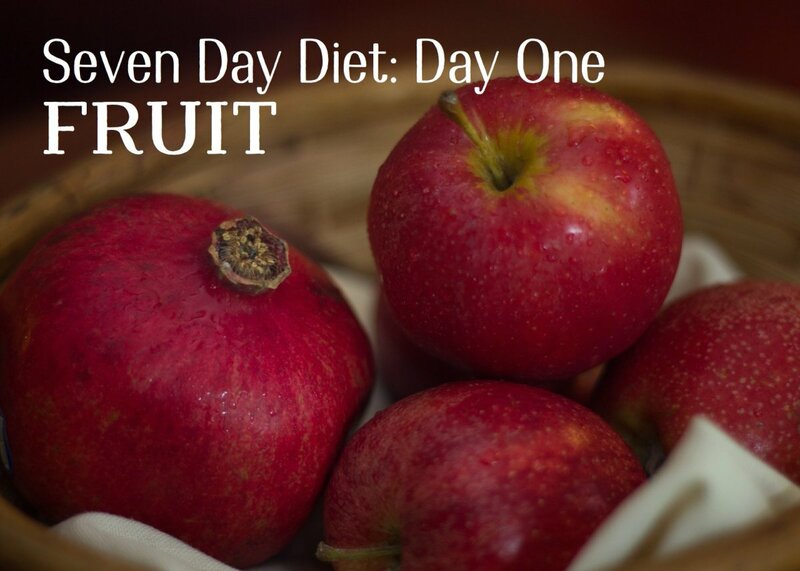 You can eat all the fruit and vegetables you want. I lost 5 pounds in 8 days. However, I also upped my steps per day by doing running in place which probably helped. I noticed that people who run are generally thin so there might be something to it. I have been doing around 17,000 steps most days for the past week. I would not recommend the 8 hour diet. You can now do on on line weight watchers diet for $20 per month. You can weight yourself by yourself too. Stop drinking alcohol too!!! This is important I think. Alcohol makes you hungrier for sweets. My weight kept going up even though I was eating just 2 meals. So for the past 2 or 3 weeks I have also stopped drinking my 1 beer per day and have lost 3.5 pounds. For some reason after having stopped drinking I can resist that big chocolate chip cookie I always have at lunch. If I ever get really hungry before lunch I eat a few peanuts. This is hardly ever though. I do have a lot of milk with coffee in the morning and sometimes eat before bed. I still think this is a good diet and would recommend it. However, if you are not losing weight you may need to try something else. I have been following this diet for 1.5 years and it has helped. I still get a little hungry in the morning. Also, I often cheat before going to bed and eat some crackers and hummus. I started gaining back almost all the weight and then added something I have done with success in the past. That is stop drinking alcohol and no sugar and trying my hardest to cut carbs. I lost around 22 pounds on that diet which was my biggest weight loss ever. My weight will stay pretty constant until I go to parties. I start drinking then start eating like crazy and the next day I can be up by as much as 3 pounds. Good luck to everyone. My 32 yer old son and I started this diet last year. Now my 35 year old son is trying it. I stopped, but am going to start again. If nothing else, you feel in control of your eating. Good luck, krina. May your success continue. Sorry, I still cannot get the app to work? I have an iTouch and not an iPhone which is maybe the reason. Congratulations to Grumpy for losing 14 pounds!! I am still on the diet but am eating too much and have gained a few pounds back. All in all I still like it. Also, I think the post from Sandra is an ad and should be deleted. Thanks and keep working on the app Chris and I will try it again. 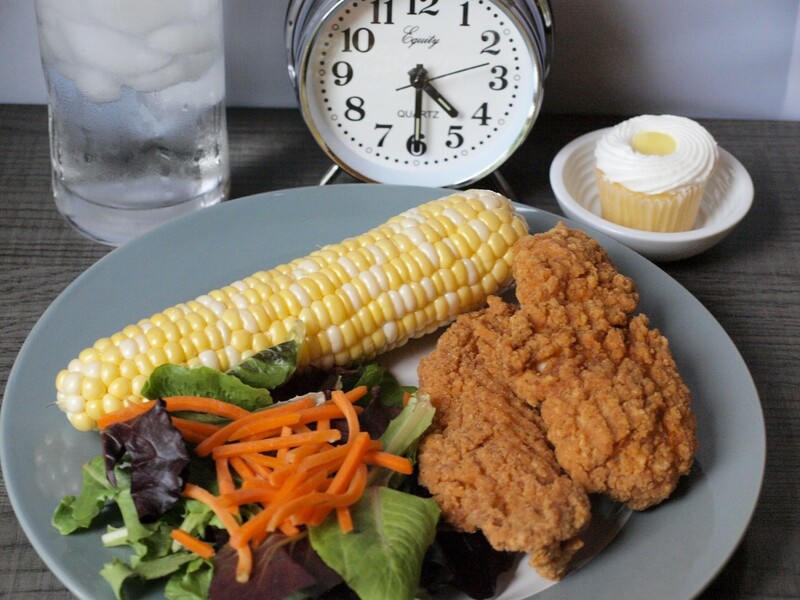 are you still sticking with the 8 / 16 hour diet? Wow Foxpro admire your tenacity. I have been off it for some time now. I have not weighed myself lately, but still fit in my clothes. Maintaining weight can be difficult, glad that you are succeeding. I have been on the 8 hour diet for exactly 1 year now and have kept the original weight off. I lost around 12 pounds and pretty much kept it off. The 8 hour diet worked out well during the holidays. Last year I put on 10 pounds or so. This year I only gained 4 pounds and I have pretty much lost the extra weight already. I had eaten too many cookies. This diet does work, of course you need to exercise too and eat right. I try to stay away from soda, skip the sugar in my coffee, and I eat salads with chicken or some protein for lunch. Anyway this is what works for me. Also, for exercise I have started using Indian Clubs for the past 5 weeks. Look them up in you tube. I find they help relax my shoulders and for whatever reason I like using them. You just swing them around. For example, use them as if you were playing tennis, golf, jump roping, lacrosse, you get the point. They are kind of expensive though. I have 1 set of 2 lbs. and 1 set of 4 lbs.. Also, you need to be careful using them so you don't swing them into a child, pet or anyone nearby. Good luck to every in 2014. I tried the app but it crashed. how is it going? Are you still sticking with the diet? Thanks for writing the app, I will have to check it out. I have been on this diet for 8 months now. I have lost around 12 pounds and been able to keep the weight off. I still get a little hungry in the morning but like being able to eat some ice cream and cookies and and not gain weight. I even went on a cruise and did not gain any weight. I stayed away from bread and tried to eat massive veggies. I keep reading that skipping breakfast is the worst thing but this is the only way I can loose and maintain my weight. I think that trying to lose weight by doing massive cardio is not the way to go. Whenever I do that I gain weight. I loose weight when I go for sprint type of workouts including weights, pullups, pushups and sprinting on my exercise bike. If anyone knows why this is true let me know. Good luck to everyone and keep posting as ksb11 says. I still would like to loose 7 more pounds but not really worried about it. I myself have adapted the 8 hour diet for quite some time now, but always had problems tracking the hours I was allowed to feast and fast. Luckily, I know how to create iPhone Apps - so I built an App just for that: Tracking your 8 and 16 hour phases. I'm looking forward to your feedback - if you like it please spread the word! i read about this diet on the internet a lot and now finally giving it a shot. woke up this morning at around 7, a bit hungry but fine still. i walk for 25 minutes, i drink lotsa water but am noticing my tummy bloating, is it because of the water? i'm starving from 8 - 10-ish then i break the fast. plus. Keep posting...keeps us motivated. I have good news and bad news. O.K. bad news first, (During the kids off of school time) my schedule has drastically changed. It's kinda out of whack sooooooooo, I haven't been on this diet and on my regular exercise schedule. The good new is that I haven't gained any weight back. I know that seems unbelievable, but when I stepped on the scale yesterday for the first time in weeks I was shocked myself. I do plan on making myself exercise more, and will get back on diet in about 6 weeks. Hope you all are excelling even with life's ups and downs. Peace. include yogurt (which I don't care for.). Pineapple with milk....reminds me of DQ's pineapple milkshakes. ::):):) I'll even put the kale and carrot in it. Thanks for the recipe..foxpro. Yes, drink tea. I think green tea really helps hold off the hunger. After 3 months on the diet I have started to cheat. If my weight goes up the previous day from overeating I stick to the diet, however if I know I am going to be very hungry I eat the following for breakfast. Note: I removed the peanut butter, it was too many calories. This meal only has around 200 calories in it. Just throw the contents in a blender. I think you can, as long as you add no sugar to it. I drink herbal teas with no sugar. It's been about 3 weeks since I weighed and I lost about 2.5 pounds. Just really got back into diet about a week ago after 2 weeks of a crazy schedule with much of that time at hospital duty. ksb11 keep up the good work. Exercise has really helped me feel better although I am never too eager to begin. I know it helps with my weight loss too. up and go walking instead of sit at this computer. Hi rbharley, If you could possibly change your 8 hour window about an hour or 2 earlier, this might help. When I first started, it took my body a little time to get used to it. I still get hungry sometimes, but it is easier for me. The probably stopped working for me because I was cheating by eating at night before I went to bed. Once again I did lose with diet when nothing else worked. I am on Day two. I am having a hard time in the morning. I do get up do my 10 min walk but when I get to work I tried to keep busy so I won't eat until lunch time. I am really missing not eating in the morning. Any idea for me? I am going to stick with it. So happy to read the comments of others. My weight loss is slow, about 1/2 lb. to 1 lb. per week, but I am sticking with it. I didn't realize how much of my groceries I was consuming by myself..... especially empty calorie foods. My window is generally 10 to 6, sometimes 11 to 7. I usually break my fast with a stick of string cheese, or greek yogurt. I then eat lunch about 2 pm, and dinner at 5:30 pm. My dinner is pretty light. I work part-time, so if I am home and desire empty calorie snacks, I try to eat them before the dinner hour. I love ice cream, so I bought Klondike bars, as they are measured portions. Mae, it seems like you are at a healthy weight, but I still think this diet is good for you even it you aren't overweight. I think it will help you maintain. Well, I have been at hospital often for the last week sitting with a family member. My eating schedule has been really crazy so I have not even weighed. Once again I plan on getting back on 8 hour diet and regularly exercising. Life with its little turns in the road may make achieving my goal take a little longer, but I am determined to continue on with living healthier. foods and do at least 8 minutes of the exercises shown in the book. with the 16 hour fasting. My time is between 10 and 6. There are some great comments and suggestions above. There is a lot of encouragement on here. Hope you will keep coming back and sharing. I was afraid that I had gained while on a short vacation for four days last week and not following the plan. To my surprise, I had not gained anything. Have to go to a conference this weekend, with a big dinner on Friday night. My two "off days" will be Friday 6 PM until Sunday 6PM, so I should be okay. I am down 1/ 2 pound. This week I have really cut down on exercising. Also have eaten way too much sweets. So, I was surprised that I didn't gain a couple of pounds. This coming week, I plan on more exercise and less sweets. I'm glad to see some people still on this diet. Today the scale said I had lost 14.5 pounds. This diet is good at getting you back on track. I slipped up a few days but not eating in the morning got me back on track. Good to hear from ksb111, ponchy99, yarnaholic and coalsmom. You all are encouraging to me. I was on vacation for four days and couldn't keep to the plan due to an unpredictable eating schedule set by other people. This is the first diet plan I have ever tried that I am eager to get back into the routine beginning with a 16 hour fast that began at 6 pm. My weight loss is slow, but my motivation to stay with it is high. Still trucking along. Ive lost 16 lbs now. It is a slow and steady drop. A few spikes back up here and there. Spring break was a bad one for me. But all in all. Im so happy to keep sticking with this! now. I am down 7lbs. Agree with you Ponch. Foxpro and Coalsmom, I have a lot in common with you in losing slowly but steady. This is the only diet I have been on that I believe I can stay on. So inspired to read your comments. Philippians 4:13 keeps me on track. Since starting the diet mid-January, I am down 14 lbs. I stick to the plan 5 days, and generally have a window of 11AM to 7PM. Easter weekend will be a challenge as I will probably try to eat all the jelly beans my stomach can hold. I may do 6 days this week, and make Sunday my only day "off". My weight loss is slow, but I feel encouraged. My nightly "grazing" has pretty much stopped. If I want some ice cream, I just eat it within the window. I have not felt the need to cheat, but may drink some herbal tea at night. I enjoy reading people's comments as well. I am losing very slowly now but have lost 12 pounds so far. The other day I played 2 hours tennis in the morning and was so hungry at 12 that I could almost say I was binge eating. I think from now on if I am going to do a lot of exercise in the morning I am going to eat a little breakfast. I still like this diet and it is the only I have been able to lose any weight lately. Hey, Did everybody go a.w.o.l? I miss reading your post. Lately, I haven't been very consistent on this diet because I have been stepping it up training for a 10k . The 8 hour window has been a little small for me since some days my training has been before or after that window. Hope to hear from you soon. This diet only works for me if I also exercise and keep my carbs low. If you cannot handle just eating for 8 hours at the start maybe try easing into it; slowing shrinking your eating window. For 2 months I was extremely hungry during the last few hours of my fast but now I am totally used to it. I was on another diet several years ago and lost 23 lbs by hardly drinking alcohol, eating any sugar and cutting way back on carbohydrates. I am now convinced that carbohydrates are the real enemy. They make you hungry and fat at the same time. LM what do you mean it this safe?? I think it is a lot safer than eating 20 hours a day or even 12 hours a day. Give it a chance it will work, try and keep away from junk food. I tried this diet for one day, and I ALREADY feel like it has thrown my metabolism off (which was already extremely slow), and now I feel like I'm gaining weight just by looking at food! This diet MIGHT work for men (they are biologically different, obviously), but it sure as he*l didn't work for me! I have also been trying to find info. anywhere out there on if this diet is safe and/or effective for women to do, and I STILL haven't found anything yet. Good luck! Foxpro, I noticed a similar dramatic gain, water weight I presume, with anything that is salty. For me pizza has the same effect as a salty food. Salty toppings like pepperoni or anchovies, my favorites, make it even worse for me. Funny, just had pizza for lunch too.....two slices plain. Does pizza increase your weight like crazy or what? of pizza in 2 days. Maybe I should limit myself to 1 slice. Skooter, im working on it, we have really foul water so drinking it plain isn't much of an option. I don't much like drinking aspertame. It dosent make me hungry though. down another lb this week. Its slow but steady. the only reason i think its not more is because i sawi lost some, and had some twix candies outside my eating window. really i think this teaches me to curb my munching and binging and eat less. as im hungry less when i drink tea. Even my husband has been kinda eating on the same schedual as me, switched his coffee for tea and he lost about 20 lbs. Wish i could lose as fast as him hehe. Its ok. slow and steady and it stays off. aiming for 7 more lbs to come off and then i think im going to hold steady at that weight. Im afraid if i loose too much ill be bones. After 9 weeks I have lost 11 pounds, I have 9 more pounds to go. Good luck to everyone still on this diet. ok ponch...holding you to it:):) Congratulations on the 2 lb loss.